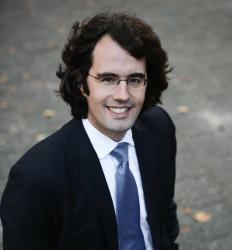 Dr. Jean d’Aspremont is Associate Professor of International Law and Senior Research Fellow of the Amsterdam Center for International Law at the University of Amsterdam. He is also Guest Professor of International Humanitarian Law at the University of Louvain in Belgium and Senior Editor of the Leiden Journal of International Law. The current distressful situation in Côte d’Ivoire is pitting two warring factions against one another, each of them claiming to be the legitimate authority entitled to act and speak on behalf of the State. Such a duality of government is, regrettably, far from being unprecedented and raises some legal issues which are not unknown to international lawyers. The eligibility of Alassane Ouattara – President of the Rally of the Republicans (RDR) whose popular support lies mainly in the north of the country, former Prime Minister of Côte d’Ivoire and a former IMF managing director – to run for office has been a bone of contention in the political scene in Côte d’Ivoire for more than a decade. Indeed, several key political figures began, in the mid-nineties, to make use of the loaded argument of ‘Ivoirité’, especially following the 1995 electoral code barring candidates from taking part in the national elections if either of their parents were of a foreign nationality and if they had not lived in Côte d’Ivoire for the preceding five years – a stipulation which had been perceived by many as meant to exclude the popular Ouattara who was said to be of Burkinabé (i.e. Burkina Faso) origin. After a coup d’Etat in 1999, a new Constitution in 2000, a civil war between a government-controlled south and a rebel-held north, a painstaking peace process between the insurgency led by Guillaume Soro and Laurent Gbagbo in power in Abidjan, a unity government and several postponements of the last round of elections in which Ouattara had eventually been allowed to participate, the severe tensions that had beset the country over the last decade came again to a head in the aftermath of the 28 November second round of the presidential elections. Indeed, on 2 December 2010, the Independent Electoral Commission (hereafter CEI) announced the provisional results according to which Ouattara had won the election with 54% of the vote. Gbagbo claimed that the elections had been rigged by the former rebels and the results were invalidated by the President of the Constitutional Council which declared Gbagbo the winner. The international community was very prompt to endorse the position of the CEI and recognize Ouattara as the legitimate leader of Côte d’Ivoire. Although many States still profess that they do not officially recognize governments, it has long been demonstrated that such a political claim has never entailed an actual abandonment of the practice of recognition of governments but rather a toning down of the solemnity with which new governments are recognized. Situations of duality of government, as that in Côte d’Ivoire, makes this claim even less sustainable, for States around the world, and especially those having strong relations with – and interest in – the country, inevitably need to determine whom they will speak to and thus who they see as being in charge. This elementary finding is clearly supported by the practice pertaining to Côte d’Ivoire where many governments have taken pains to publicly announce whom they are considering as the legitimate government of Côte d’Ivoire after the abovementioned contentious elections. It suffices here to mention the swift reaction by United Nations, the African Union, the Economic Community of West African States (hereafter ECOWAS), the European Union, France and the United States affirming that they consider Alassane Ouattara the winner of the 28 November 2010 second round of the presidential election and the legitimate new leader of that country. It has been reported that only Angola and Lebanon sent their ambassadors to Gbagbo’s swearing-in ceremony. The recognition of Alassane Ouattara has been followed by a string of sanctions against the regime of Gbagbo by the European Union, the United States or the African Union, mostly in the form of travel bans or account freezes. On top of that, the ECOWAS decided to apply the provisions of Article 45 of the ECOWAS Protocol on Democracy and Good Governance and suspended Côte d’Ivoire from all ECOWAS decision-making bodies until further notice, The African Union Peace and Security Council similarly decided to suspend the participation of Côte d’Ivoire in all AU activities until the “democratically elected President effectively assumes State power”. These sanctions were welcomed by the UN Security Council which simultaneously urged “all the Ivorian parties and stakeholders to respect the will of the people and the outcome of the election in view of ECOWAS and African Union’s recognition of Alassane Ouattara as President-elect of Côte d’Ivoire and representative of the freely expressed voice of the Ivorian people as proclaimed by the Independent Electoral Commission.” The United Nations Operation in Côte d’Ivoire (herefacter UNOCI) also moved to provide Ouattara with sufficient protection (see here). In this case, like in most situations of duality of government since the end of the Cold War, electoral legitimacy – that is the claim that one has won the majority of the people’s votes through an electoral process deemed free and fair by the international community – has thus been one of the overarching yardsticks on the basis of which the legitimacy of the new government has been appraised. Indeed, and in spite of the lapse of democracy promotion in recent international practice (see here), free and fair elections have remained a central parameter in assessing legitimacy of governments (see here). The recent practice in Côte d’Ivoire is no exception to that. Alassane Ouattara has been deemed the legitimate representative of the country by most of the international community by virtue of his – internationally certified – victory in the presidential elections. As a result of Ouattara being deemed the legitimate government of Côte d’Ivoire, many countries – and in particular all European Union member States (see here) – began to move to approve the credentials of the ambassadors and diplomats representing Ouattara to the detriment of those acting on behalf of Gbagbo. Accreditation of delegates within the framework of international organizations where the membership of Côte d’Ivoire has not been suspended – in contrast to the AU or the ECOWAS – is more complicated. In theory, in most international organizations, approval of credentials of Member States’ delegates is meant to be confined to a technical operation aimed at validating the powers of delegates without engaging in any political appraisal. Leaving aside the exceptional situations – like the well-known refusal to approve the credentials of the delegates of South Africa and Hungary where accreditation at the United Nations was used as a sanction mechanism against these States, situations of duality of government – like the one in Côte d’Ivoire – have however made the resort to arguments of legitimacy within credential committees inescapable. In such a scenario, the organization concerned cannot confined to a technical appraisal of the validity of powers and is bound to engage in an assessment of the legitimacy of the warring representatives. It would have be much less problematic to rely exclusively on the criterion of effectivité to determine which of the competing parties constitute the legitimate authority to be granted standing within the organization. The practice of the United Nations (see here) and its specialized agencies has, however, demonstrated resort to other criteria than effectivité. In credential controversies, it is interesting to note that the UN General Assembly has usually resorted to the criterion of constitutionality as is illustrated by the accreditation of the delegates of Kuwait (1990), Afghanistan (1996-2001), Haiti (1992), and Sierra Leone (1997). Against this backdrop, the UN General Assembly approval on 23 December 2010, by consensus, of the 22 December report of the Credential Committees accepting the credentials of the representatives designated by Ouattara for the 65th session of the Assembly should thus not come as a surprise. This provides yet another example of the inevitable politicization of the accreditation process within international organizations and the elevation of legitimacy into a central yardstick in the decision-making process about credentials in situations of duality of government. This is also confirmed by the 24 December statement of the UN Secretary General hailing the abovementioned decision which he said “reflects the united position of the international community with respect to the legitimacy of the new government led by President Ouattara.” Yet, the way in which the General Assembly’s credential committee has motivated its decision is of particular interest. At the time of completing this post, the report of the Credentials Committee A/65/583/Rev.1 was – to my knowledge – not yet available on the Official Document System of the United Nations. The report, once published, will deserve much attention, for, contrary to most of the precedents where the General Assembly’s credentials committee has used arguments of legitimacy, the situation in Côte d’Ivoire does not originate in a coup d’Etat or in a foreign invasion and the Committee cannot exclusively rely on an argument based on the constitutionality of the faction finally accredited. In the aftermath of the recognition by the United Nations of Ouattara as the legitimate government of Côte d’Ivoire, Gbagbo asked the UN as well as French troops to leave the country. Interestingly, the Secretary General ignored this call and recommended the Security Council to renew the mandate of UNOCI (see here). On 20 December 2010, the Security Council, by Resolution 1962, renewed the mandate of the mission by reiterating its authorization under the Chapter VII of the UN Charter and recalled its previous authorization to UNOCI to use all necessary means to carry out its mandate, within its capabilities and its areas of deployment. The UN practice so far has thus not clearly showed a dismissal of Gbagbo’s ability to speak and act on behalf of the country, for the UN mission has been grounded in a Chapter VII authorization. France’s similar rejection of Gbagbo’s call to withdraw French troops is probably not more indicative in this regard, for the French forces’ presence was also the result of a Chapter VII authorization (Res 1528), itself renewed together with the mandate of ONUCI on 20 December 2010 (SC Res. 1962). Eventually, mention must be made of the statement made on 24 December 2010 by the heads of States of the ECOWAS threatening a military intervention in Côte d’Ivoire to oust Gbagbo if he were to cling to power. They nonetheless announced that prior to that move three leaders of the region would still pay him a visit ‘ in the spirit of brotherliness in Africa” with a view to convincing him to step down and go into exile (see here), an endeavor which eventually did not work out. It is well-known that attempts to elevate pro-democratic intervention into one of few limitations to the prohibition to use force have failed to bring about a new entitlement to use (or threat to use) force under international law (see here). In the case of Côte d’Ivoire, such an intervention (or the threat thereof), in the likely absence of any UN Security’s Council authorization going into this direction, would only prove to be in accordance with the rules pertaining to the use of force – or at least would not be wrongful if one endorses the idea that consent is only a circumstance precluding wrongfulness – if a formal request were to be issued by the authority entitled to speak and act on behalf of the State. Thus far, Ouattara, at least by the accounts that have been made, has not yet issued any formal invitation to ECOWAS countries to use force to oust Gbagbo. If such a military solution turns to be the unique realistic option that would bring him to power, Ouattara would probably not balk at consenting to it. Yet, from a legal standpoint, it could still be objected that State’s consent to military intervention needs to emanate from the authority endowed with effective control over the territory – which Ouattara cannot, in the present situation, claim to exercise. Interestingly, however, recent practice pertaining to military intervention by invitation (see here) shows that the democratic credentials of one of the warring parties have occasionally offset its lack of effectivité and led its consent to be considered as allowing military intervention. This can be illustrated by the interventions in Sierra Leone (1997) and Haiti (1994), although consent did not prove the exclusive basis for the use of military force in these situations. Even though this case proved much more contentious, one could also recall that the United States based its 1989 intervention in Panama on the request of an elected government that had no claim to effective control. Whilst doubts have been heard as to the – financial, logistic, military and political – capacity of ECOWAS countries to set up such military operation to oust Gbagbo (see here), it cannot be excluded that the official positions that will be adopted by States on this matter could offer further underpinnings to the idea that, for the sake of expressing State’s consent, democratic credentials can, to some extent, offset the lack of effectivité (see here). It has just been reported that Canada and the United Kingdom will not yield to Gbabgo’s declaration of their ambassadors in Côte d’Ivoire persona non grata, for these countries do not consider that Gbagbo can express the will of the State and that only the elected president Ouattara is entitled to do so. In particular, the spokesperson of the Canadian Foreign Affairs Minister was reported to say: “Canada has not received a request from the legitimate government of Mr. Alassane Ouattara to terminate our ambassador’s functions. Canada does not recognize Laurent Gbagbo’s claim to government. As such his request is illegitimate. We will continue to urge Laurent Gbagbo to cede power to President Ouattara who has been recognized internationally as the legitimate president of Côte d’Ivoire following the November 28 elections”. The Foreign Office in London was reported to declare that the UK “does not accept the validity of statements made by anyone other than Ouattara”. These developments further underpin the above-mentioned idea that the ‘effectivité’ of the governments is increasingly being outweighed by other parameters – like electoral legitimacy – as the primary criterion to determine the authority entitled to speak and act on behalf of a State. It has also been reported that Ouattara has (for the very first time as far I know) expressly asked that military force be used to oust Gbagbo. It will be interesting to see whether, in the coming weeks, this request will be considered by the international community as a valid expression of the State’s consent to a foreign use of force on the territory of Côte d’Ivoire. On the one hand, Côte d’Ivoire could be distinguished away by virtue of (1) having already been the object of Chapter VII resolutions aimed at resolving a sectional civil war, (2) having been the site of an externally brokered agreement calling for elections organized in this way and for the parties to abide by the outcome; and (3) having consented, by this negotiated agreement, to acceptance of an internationally-backed body’s judgment on the electoral outcome. On the other hand, Laurent Gbagbo is no Raoul Cedras or Johnny Koroma. He won 46% of the vote — undoubtedly with strong regional majorities — and his forcible resistance to the outcome very possibly (though I cannot speak to this with authority) represents the will of a significant segment of the Iviorian population. The idea of foreign forces invading Côte d’Ivoire to suppress a regime backed by a substantial portion of the population strikes me as a recipe for disaster — not to mention, highly improbable. We shall see what develops, not only for Côte d’Ivoire, but for a foundational international norm in transition.